Astana-Business LTD has been a Stockbroker, a participant of all auction sections at “Eurasian Trading System” Commodity Exchange” JSC since March 2009. Members of ETS Exchange. 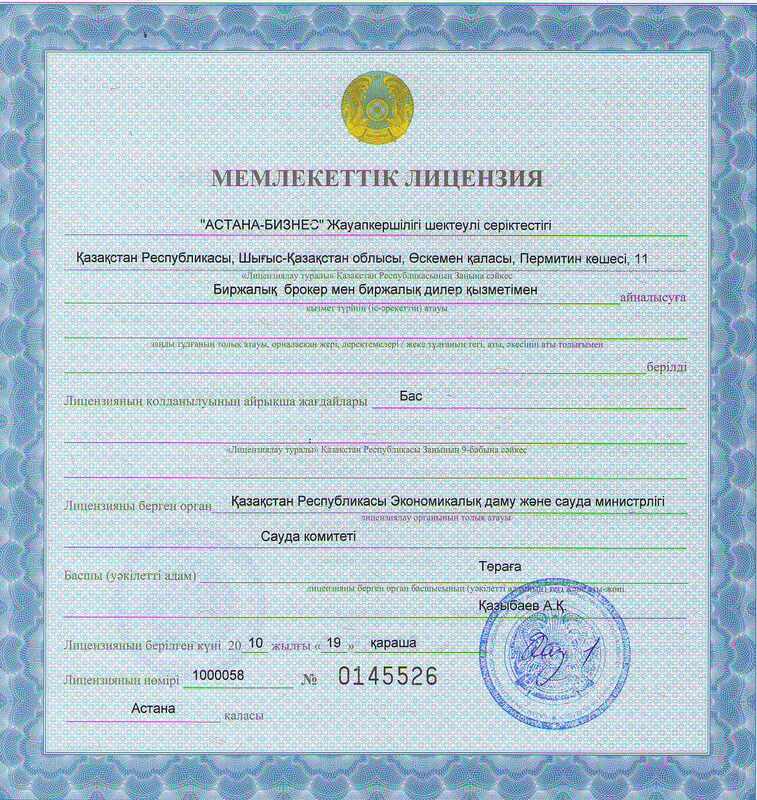 Astana-Business LTD has the state license No. 1000058 for exchange brokers and exchange dealers activities implementation, issued by the Ministry of Economic Development and Trade of the Republic of Kazakhstan. 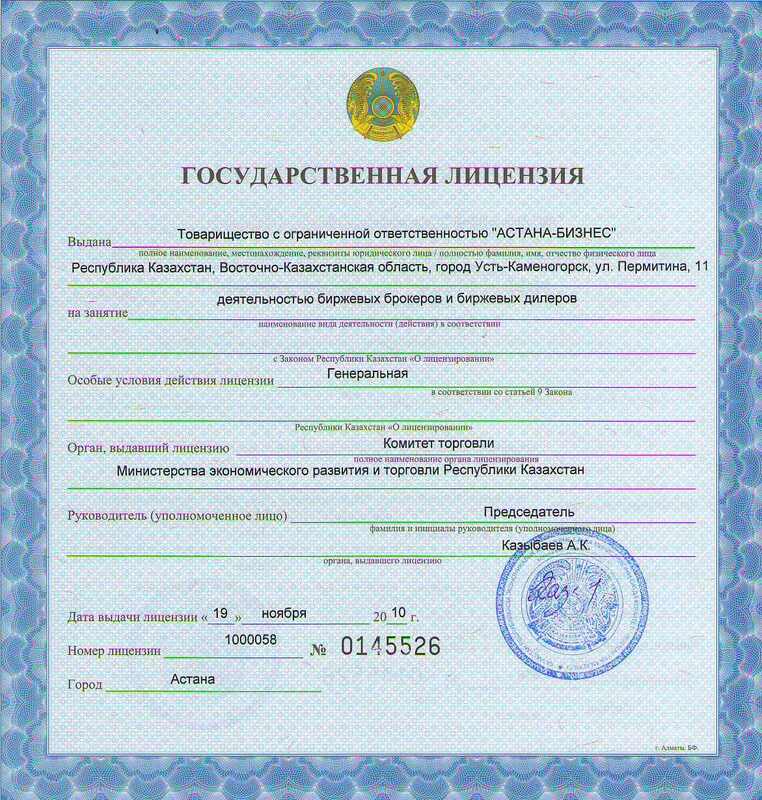 It is issued on November 19, 2010 in Astana.